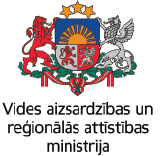 Statistical analysis shows that there is a lack of professionals who are able to provide a qualified alternative medical services during proactive rehabilitation period in cross-border region, because number of potential customers – patients who need complex support services from these specialists over the last years increases, so it is necessary to provide new knowledge and skills (complementary and alternative medicine) for specialists, working with people with senso neuromotor disorders. The overall objective of the project is to increase cross border job opportunities of professionals working with neuro senso motor disorders by improving their skills in joint interdisciplinary and innovative life long learning training, which would be based on the science and practice. During the project there will be developed an informal, interdisciplinary training program for professionals with a higher education, which covers the latest trends in science and practice of neuro sensory motor disorders field It is planned that 80 participants – professionals from Šiauliai and Kurzeme regions – will participate in 7 joint training sessions on latest scientific and practical achievements in the field of alternative medicine physical therapy, speech therapy, occupational therapy (animals and art therapy).